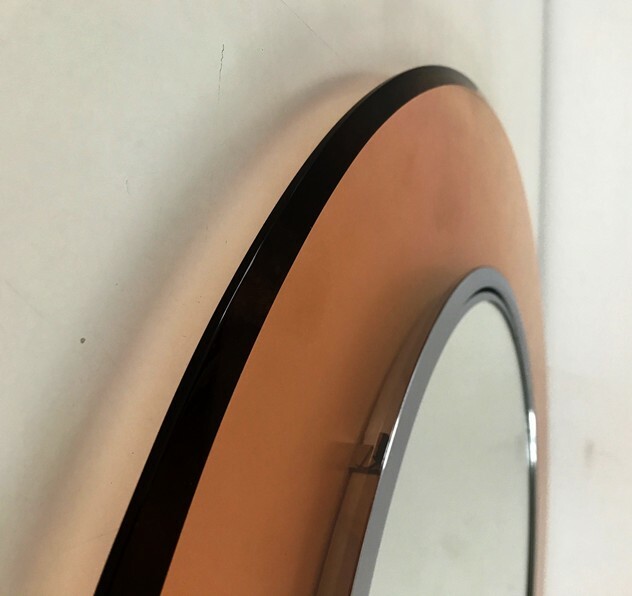 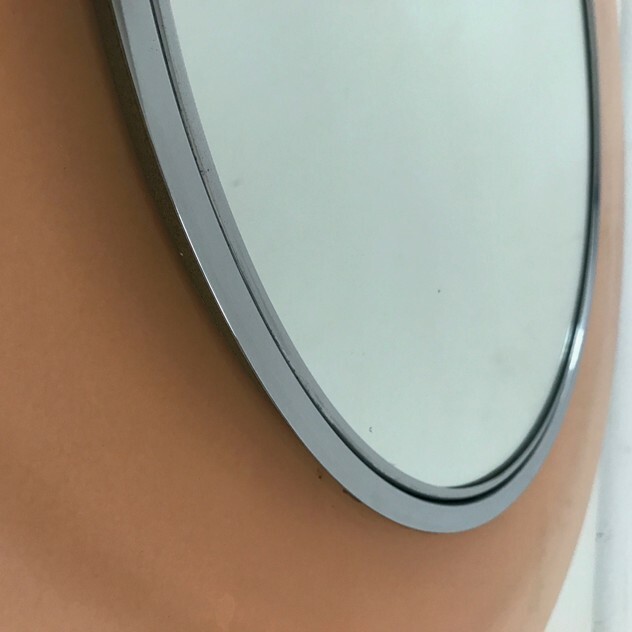 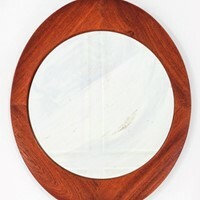 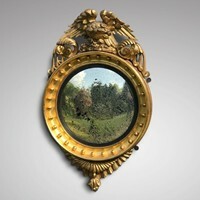 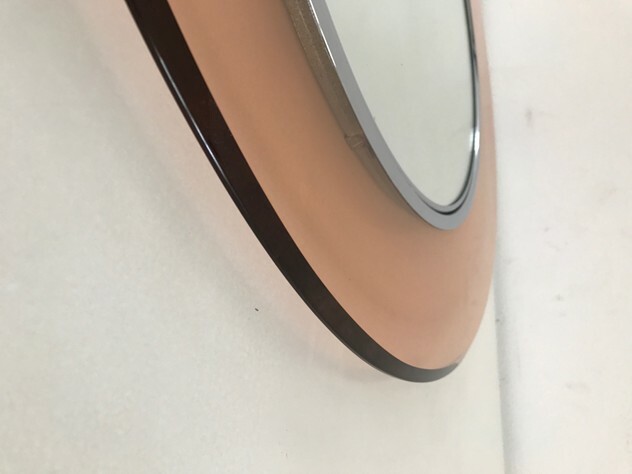 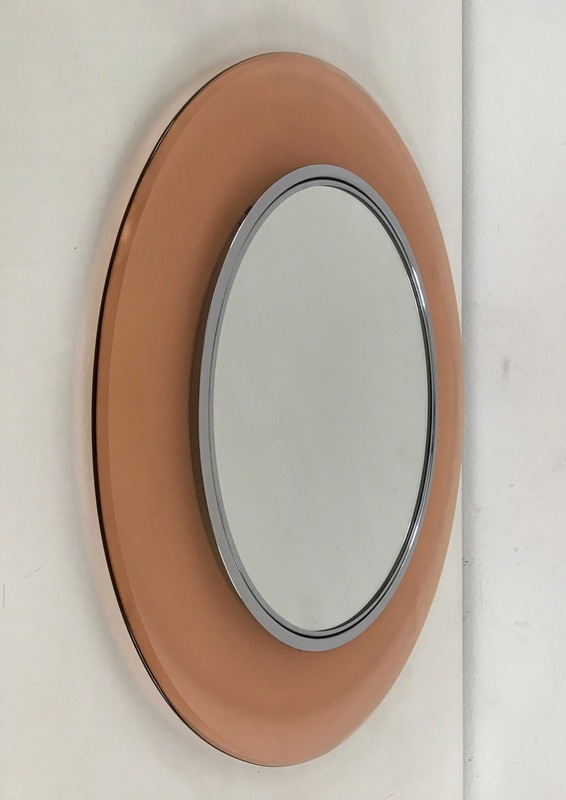 Round mirror by Fontana Arte mod, 2383. Pink flass frame and metal ring holding the central mirror . 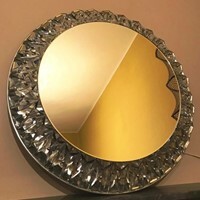 Dimensions are : cm 68 Diam.